If you’re a Have-To, you’re probably reacting to location or affordability issues beyond your control: getting or losing a job, losing a spouse, dealing with health issues or needing to relocate for work or to care for a loved one, to name a few. No need to hem and haw. You just put your Dahlonega home up for sale and move on. 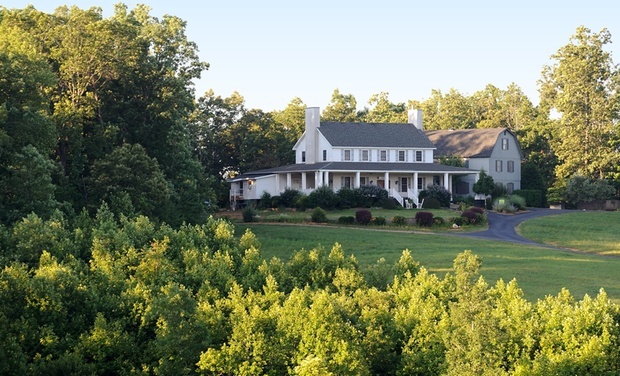 If you’re a Don’t-Have-To, there probably will be debate about whether to put your Dahlonega home on the market—maybe even a lot of debate. Is it time to downsize? Want more space for kids or in-laws? Thinking about a bigger yard for the dog or acreage for a horse? Or maybe something maintenance free? It’s easy to get stuck in the decision-making phase if you’re not being forced into action by a demand and a deadline. Maybe the idea of moving up or making a life change is appealing, but you’re also thinking: It would be a lot of work to get the house ready to sell. I’d probably have to spend a lot to get it market-ready. I don’t even know what my house is worth! If you’re in the Don’t-Have-To group, here are 5 actions that will help you go from simply pondering the idea of selling your Dahlonega home to deciding whether making a move is right for you now. Clean up the place! Really clean it up. Room by room, including windows, doors, baseboards, floors, ceilings, ceiling fans, range hood…the works. A deep cleaning will help you see your home through fresh eyes. You’ll be able to get an objective look at its strengths and weaknesses and see how you might be able to harness the value of this home to begin achieving your next dream. De-clutter. You must have de-cluttered somewhat if you’ve really cleaned house. But challenge yourself now to take it to the next level. Give away, throw away and recycle. Minimize the knick-knacks, curios and memorabilia on display—maybe even some of that extra furniture that’s crowding your space. If you’re purposeful and focused on this task, you’ll end up taking your home back to its “bones,” so it’s easier to imagine how your Dahlonega home investment might look to a potential buyer if you were to decide to sell. A big bonus: paring down your stuff can improve your life and reduce your stress. Fix things. So, now that you can actually see the walls, floors, windows and fixtures, go through each room with a keen eye out for any minor, low-cost repairs needed. Think: cracked plug covers, sticking cabinet doors, torn screens, loose weather stripping, failed toilet paper holders, loose towel racks, dripping faucets and toilets…you get the idea. If you do decide to put your home on the market, you don’t want buyers to be concerned about deferred maintenance. And if you decide to stay put, these routine chores should really be on your to-do list anyway. Inspect your investment. With the routine maintenance items checked off, give your Dahlonega home a good once-over for any apparent problems that could be significant—for you or for a potential buyer if you decide to sell. Damp basements, water marks on ceilings, cracks on walls or ceilings, mold and termite damage are examples of issues that may need professional attention. If you have concerns about any particular issues or if you have an older home, consider getting a full home inspection so you’ll know what you’re dealing with. Even if you don’t tackle these issues immediately, getting advice and quotes on any major work needed will help you plan for remedies if you keep your home and be prepared to either address them or adjust your asking price if you decide to sell. Call the best REALTOR in Dahlonega. By now, you’re pretty clear about the pros and cons of staying and selling. You’ve cleaned and de-cluttered to get a fresh look at your home investment. You’ve fixed any small problems and researched (or taken care of) any big ones. If you’re leaning toward selling, the next step is to call a REALTOR in Dahlonega who has a proven track record of selling homes right here in the area. A highly experienced agent with thorough knowledge of the Dahlonega real estate market can give you solid advice about pricing, as well as the marketability of your Dahlonega home and the wisdom (or folly) of making certain improvements or cosmetic changes. And if you need to find a new home once yours is sold? She can help you with that, too!